Today the Public Service Commission of Wisconsin announced the results of the Request for Proposals (RFP) that was issued earlier this year to support an Integrated Anaerobic Digester project. The goal of the RFP was to identify one or more projects that would support renewable energy generation, improved manure management for dairy farms, and improved water quality. Three proposals were submitted, and one proposal was unanimously recommended by the review committee. The PSC agreed with the recommendation, and allocated $15 million of the state’s Focus on Energy program funding to support this project. The project’s total estimated cost is $60 million. The project is called “Green Pastures Bio Energy Center” and was proposed by BC Organics, LLC. The PSC’s news release identified the consortium as including 24 members and led by Dynamic Concepts of Waukesha, WEC Energy Group of Milwaukee, US Biogas of Plymouth, and BioStar Organics. The project would be located in Brown County and involve 9 dairy operations with a combined 22,882 animal units. 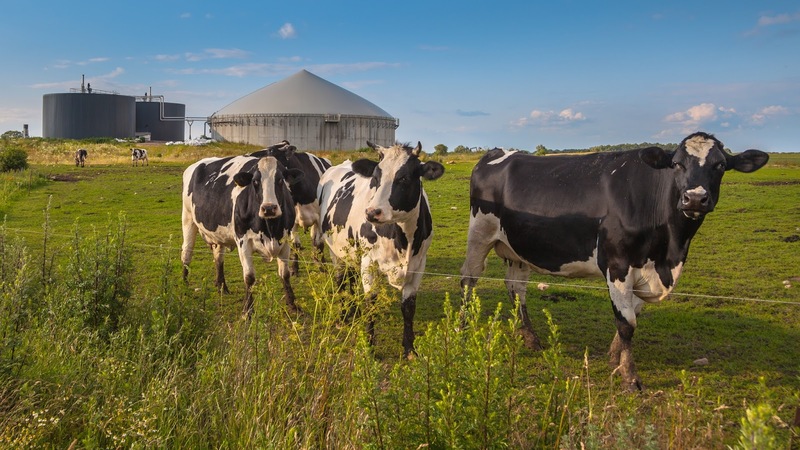 Wisconsin is the national leader in on-farm biodigesters. This new project will involve accepting manure and potentially other organic waste products (such as food waste) into multiple anaerobic digesters located near a proposed landfill in Brown County. The digested material will produce renewable natural gas, which would be injected into a large natural gas pipeline to bring it to customers. Enough renewable gas would be produced to provide the home heating needs of 7,600 Wisconsin homes. 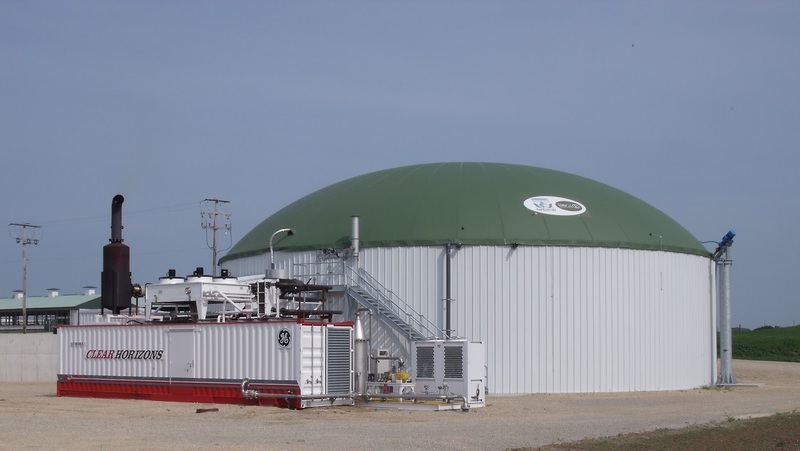 Biogas is a Wisconsin-based renewable energy resource that keeps dollars in our state. We are very happy to see the State’s investment into local renewable energy, and we hope this project proceeds and is very successful in creating value from what are waste products today. As a leader in anaerobic digesters, we hope Wisconsin policymakers and our utilities will use this investment as a springboard to increase their support for all digesters, including the 34 on-farm digesters already in operation today. There are a lot of farms in Wisconsin that need manure management solutions, and we believe biodigesters are one solution that can meet those needs while also bolstering Wisconsin’s reputation as an innovator and leader in energy. It is important to keep in mind that no one project is going to solve the very challenging agricultural and water-quality issues for northeast Wisconsin. We believe today’s PSC decision is an important step in the right direction. Wisconsin is known for our dairy cows and we hope one day soon we will also be known for our leadership on waste-to-renewable energy innovation. The PSC had previously allocated up to $20 million for this project for the Request for Proposals stage. With $15 million allocated for this project, the Commissioners unanimously agreed to keep the $5 million not yet spent in a dedicated fund for biodigesters and renewable energy going forward. The Public Service Commission’s press release can be found here. A memo from the Public Service Commission describing the proposals and the evaluation process is available here. RENEW Wisconsin is a nonprofit organization which promotes renewable energy in Wisconsin. We work on policies and programs that support solar power, wind power, biogas, local hydropower, and geothermal energy. More information on RENEW’s website: www.renewwisconsin.orgwww.renewwisconsin.org.